Singer/actress Emmy Rossum is an opera-trained singer best known for her work in the Showtime series Shameless and the 2009 film version of the stage musical Phantom of the Opera. 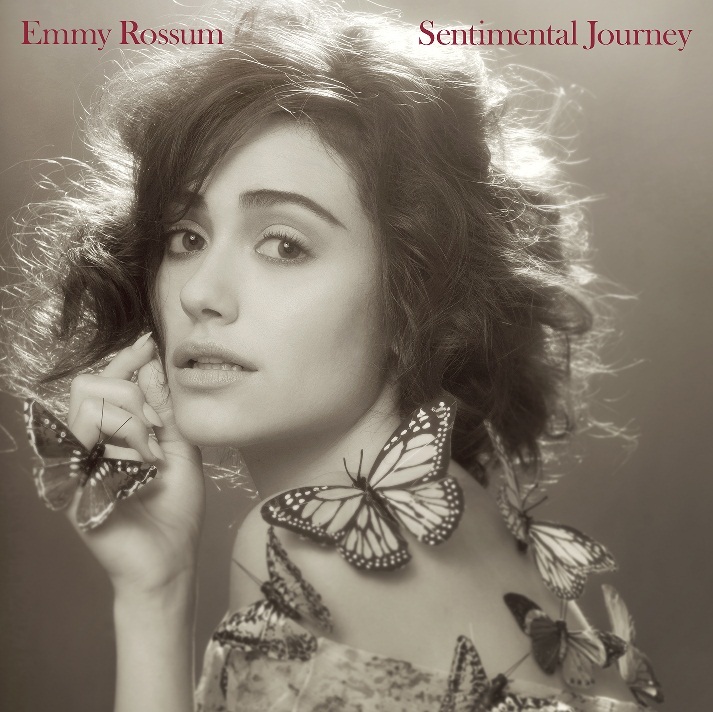 On her 2013 sophomore album, Sentimental Journey, Rossum takes a somewhat more traditional if no less ambitious approach and delivers a series of standards from the '20s through the '60s. Conceptualized around the idea of taking her listeners on a journey through a calendar year, each song was picked to relate the emotions or general feeling about its accorded month. Essentially, Rossum has crafted an old-timey album of American popular song that once again showcases her trained vocal chops and knack for relating a song's emotionally resonant meaning. Included are such songs as "I'm Looking Over a Four Leaf Clover," "I'll Be with You in Apple Blossom Time," "Autumn Leaves," and others. Though somewhat reverent in tone, Rossum does employ some stellar backing musicians here, including Giulio Carmassi who, aside from adding some roiling piano accompaniment, also plays various horns, vibes, and melodica. The result is that while Rossum's style lands firmly in a cabaret, Broadway mold, the album has a looser, jazzier feel than one might expect from someone raised on opera and musical theater. I'm a huge fan of Emmy Rossum. I love the show, Shameless and her performance in Beautiful Creatures was spot on to the character in the book. So when I had the opportunity to review her second album, Sentimental Journey, I was more than thrilled! When first listening to the opening song, Sentimental Journey, the album literally takes you back in time to the 1920's. The music, the lyrics and that voice, all amazing. This album reminded me of my childhood when I would spend hours in the kitchen with my grandmother as she listened to music while cooking. I love when music can take you back in time and remind you of so many good memories. And this album did just that. I also love that Emmy branched out. Nothing says unique like the album, Sentimental Journey. This isn't like anything that's out there today and that's something I love. She didn't go for that "Pop," type style and genre for this album like most artists have been putting out lately. Everyone can appreciate this album from the first track to the last, no matter what your age is. Out of the entire album I have two favorite songs that have been playing on my playlist for weeks now. I love both Sentimental Journey and I'm Looking Over A Four Leaf Clover. Both tracks are at the beginning of this album. Sentimental Journey pretty much explains what this album is about, love and romance and I'm Looking Over A Four Leaf Clover is definitely something you can dance to. It's upbeat with music that makes you feel like you're listening to something on a Broadway show and makes you want to dance like you're in the 20's era. Sentimental Journey is now out and available for purchase. You can get it on Itunes now. Feel free to check the song, "I'll Be With You In Apple Blossom Time," video below. Disclosure: All opinions are my own. I received Sentimental Journey from One2One Network for the purpose of this review. No other compensation was received.